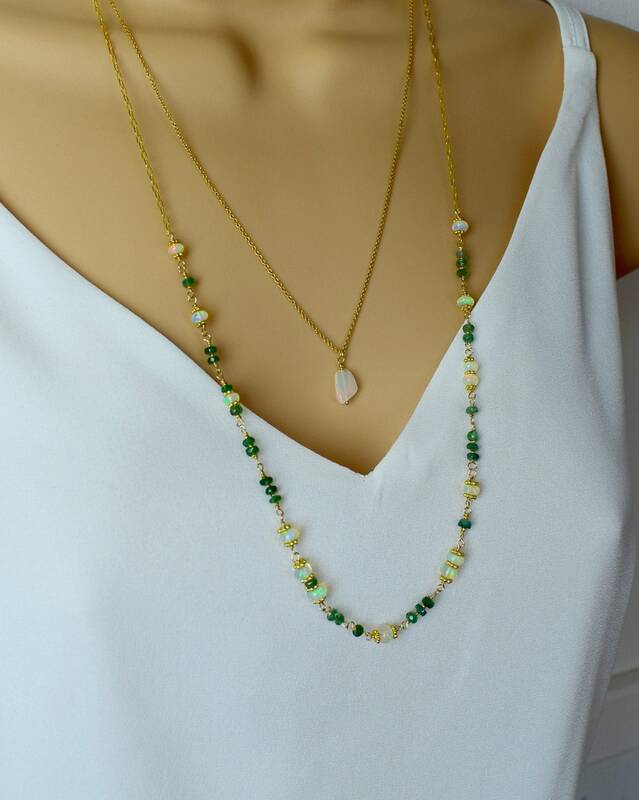 A beautiful long gemstone necklace designed with Emeralds and Opals that are wire wrapped in 14k gold filled wire and paired with a drawn cable chain. 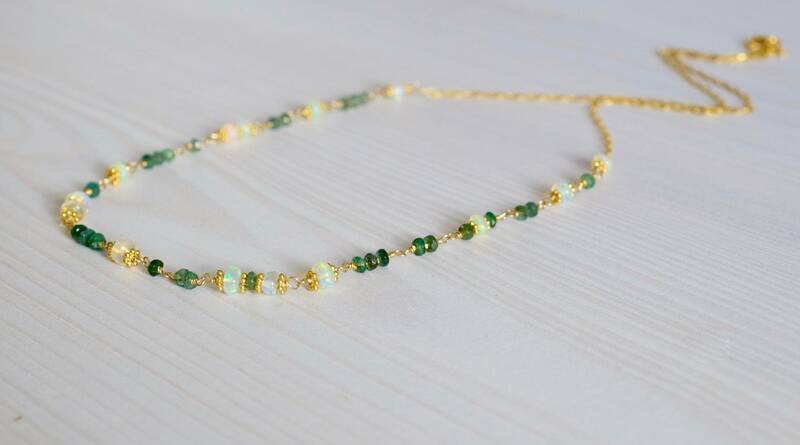 The necklace features asymmetrically placed Ethiopian Opals ball beads that have wonderful flashes in all the colours of the rainbow, with vibrant green Emerald rondelles. 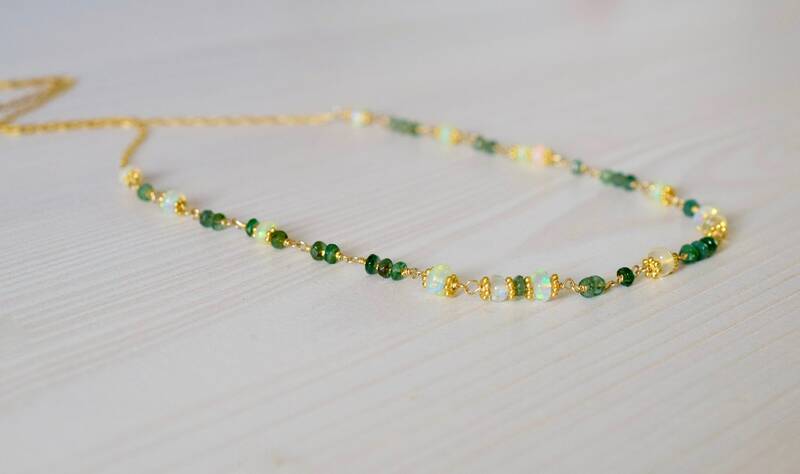 Between the Opals and Emeralds are 24k gold vermeil daisy beads and tiny 24k gold vermeil nuggets. 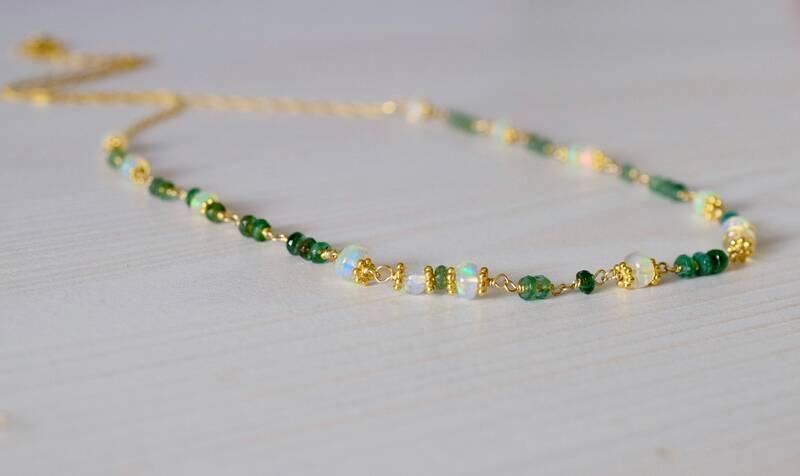 * The Ethiopian Opal beads measure 5mm each. Your necklace will arrive in a Saturnalia Jewellery box. "Gold Vermeil" is sterling silver plated with 24k gold or rose gold. "Gold/Rose Gold filled" comprises a solid layer of gold (14k) permanently bonded to a base metal, such as brass. 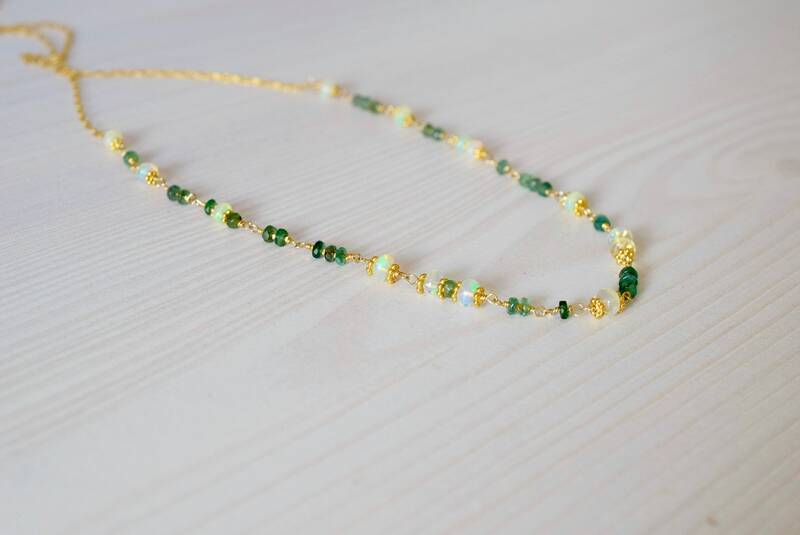 It is very hard wearing and with normal wear the gold will not peel or flake, unlike gold plate, it is often used as a more economical alternative to pure gold. 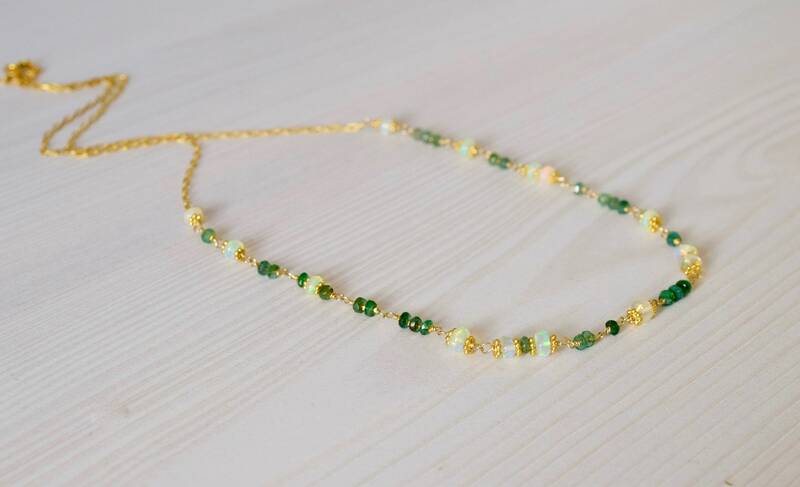 Please note that the gemstones used in our jewellery are a natural product, therefore, there may be slight variations in colour and markings to those pictured.